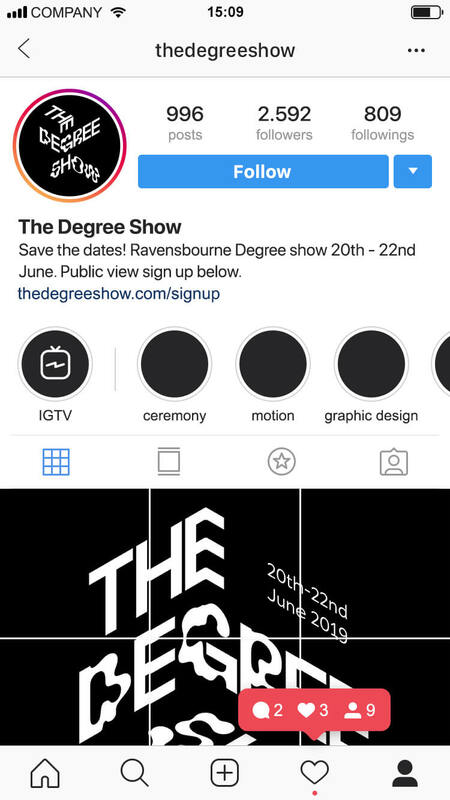 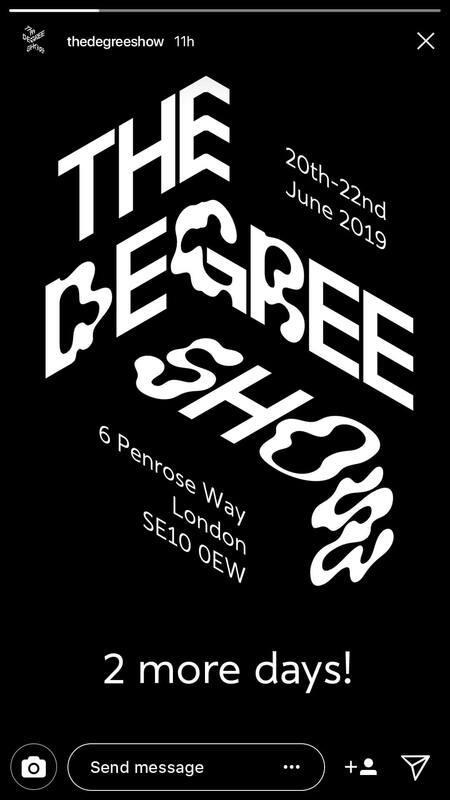 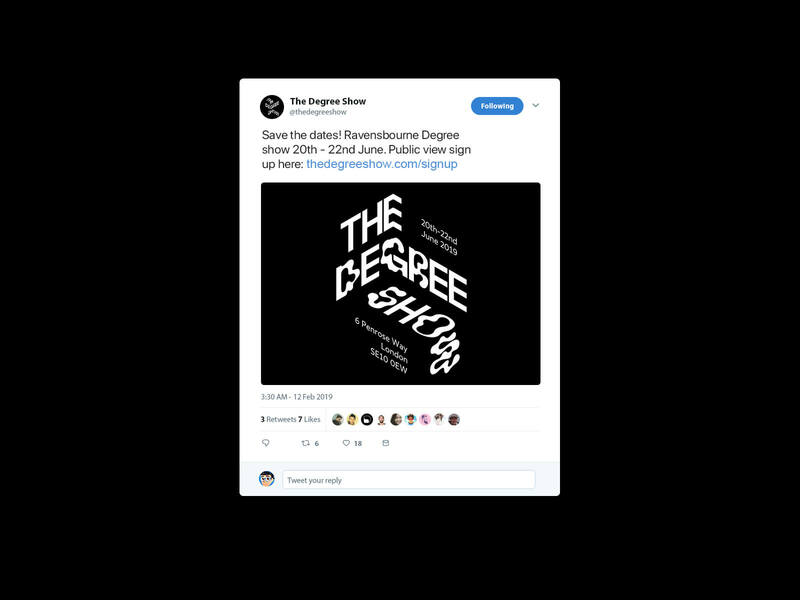 based identity that functions well within all mediums, while drawing a distinct line between the Degree Show and the colorful Ravensbourne branding. 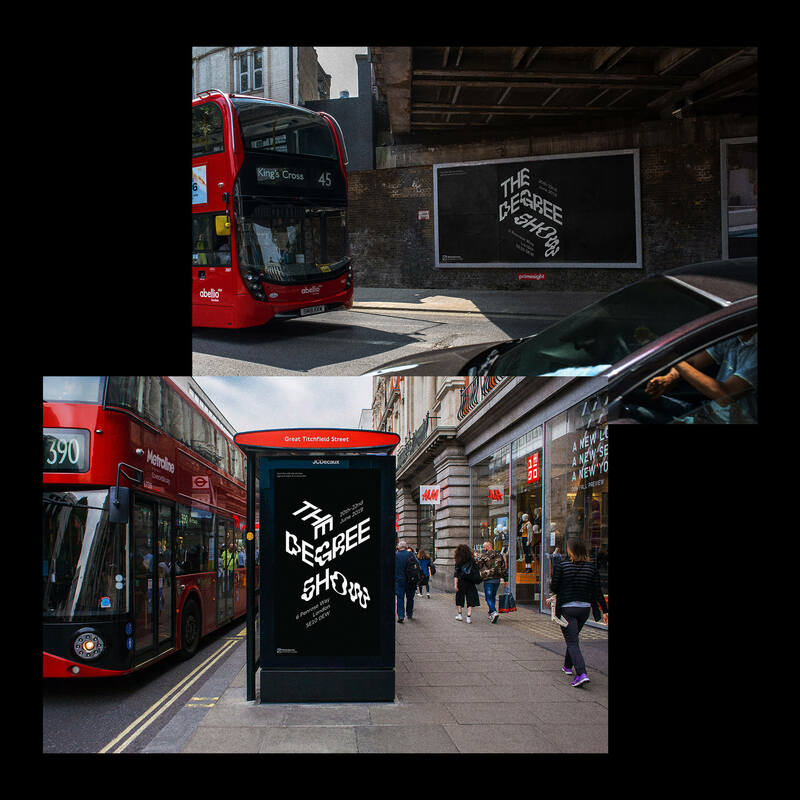 In order bring the kinetic aspect of this identity to print, I included augmented reality functions with which any print could be animated with the help of an app. 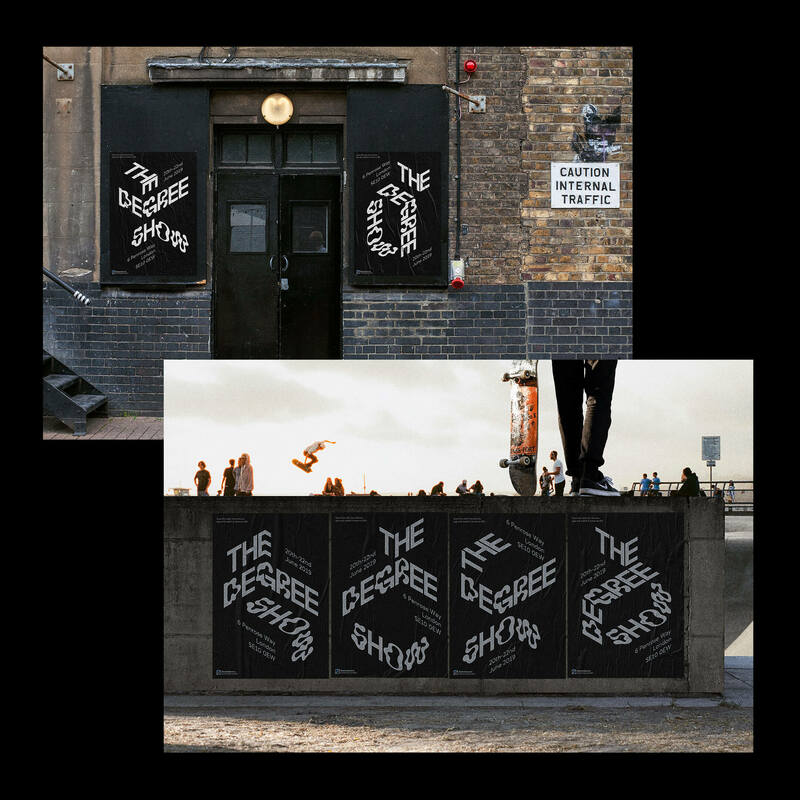 This function can be extended onto the exhibition design.